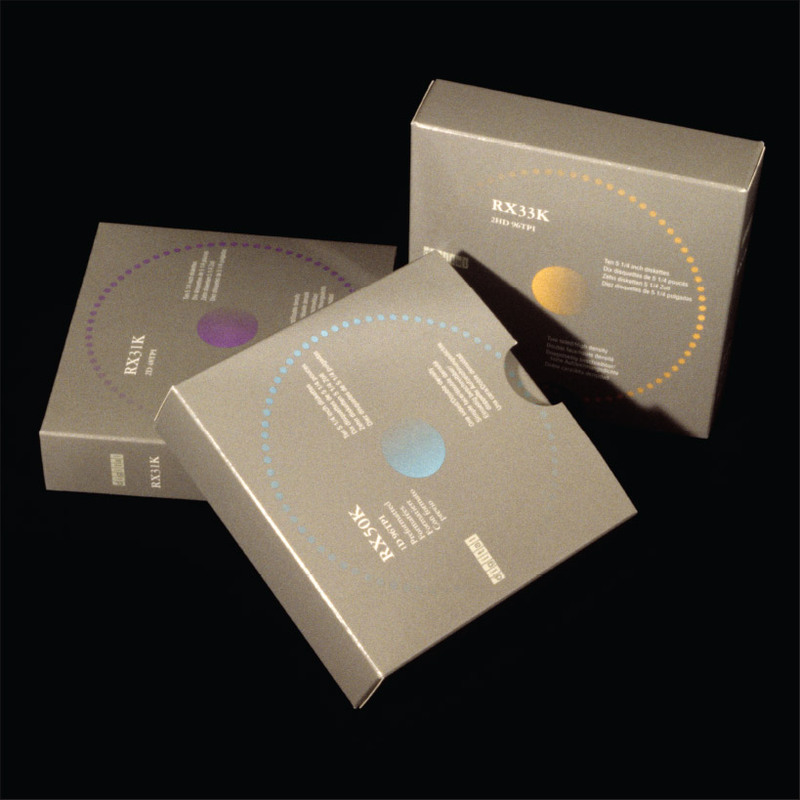 ​Digital Equipment Corporation, in consultation with Boston-based designer and educator, Gunta Kaza, asked CGD to create a packaging program for one of the company’s proprietary media products. Instead of a literal description via photography or illustration, CGD’s solution called for a graphic translation that evoked the product’s circular form and suggested its operational qualities of rotation and speed. Color was used against a neutral background to code for three levels of storage capacity.